Today, I have a review of Born Pretty's Double Pearl Headband to share with you all! Many of you in the nail blogging community would probably associate Born Pretty with nail art supplies, but they actually have some other really cute items. 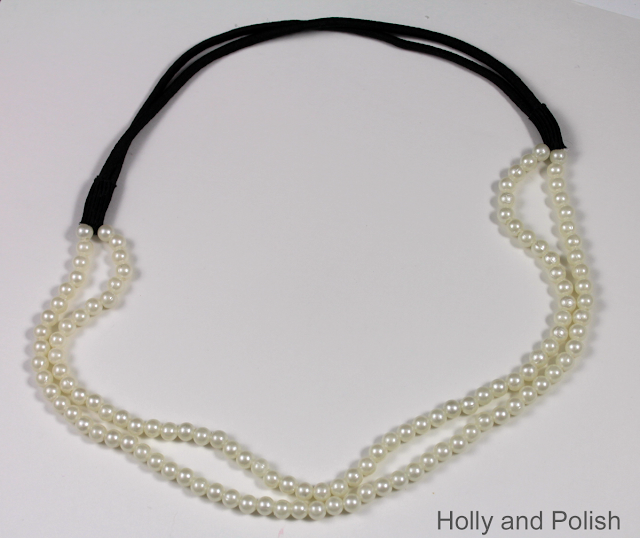 The double pearl headband I was sent is available in two different colors (white or gray). This headband looks awesome on, and is a simple way to dress up an outfit. Sometimes when I wear headbands, they hurt my head after a few hours, but this one was really comfortable! This retails for $2.47 on the Born Pretty website! Hi! Wow the headband is sooo cheaper and amazing!! So pretty!